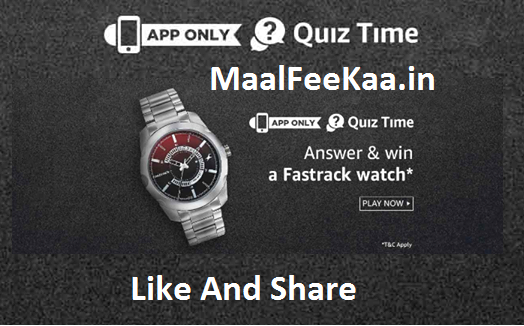 Pay The Fastrack Watch Answer & Win Quiz Time Contest And Chance To Win Free Fastrack Watches From Amazon. 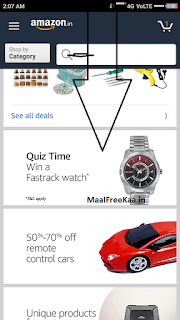 Amazon App Contest Live Play Now if you answer all the quiz questions correctly, you will be entitled for a lucky draw which will be carried out amongst participants who have answered that particular question correctly. MaalFreeKaa.in No. 1 Online Contest and Free Sample Website. Providing you Best update about All Online Giveaway and Freebie deal you can play daily here and win freebie prizes. A total of 20 participants will be selected as winners of the Contest who answer all 5 questions correctly. Play Now To Win Free Fastrack Watches. Quiz 1 : Which fitness band did Fastrack launch in 2017? Quiz 2 : Which of these is NOT a part of a wristwatch? Quiz 3 : Which of the following music festivals was powered by Fastrack? 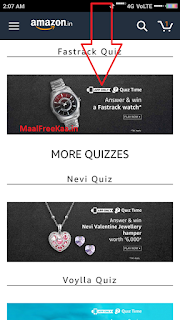 Quiz 4 : Which of these phrases is associated with the brand Fastrack? 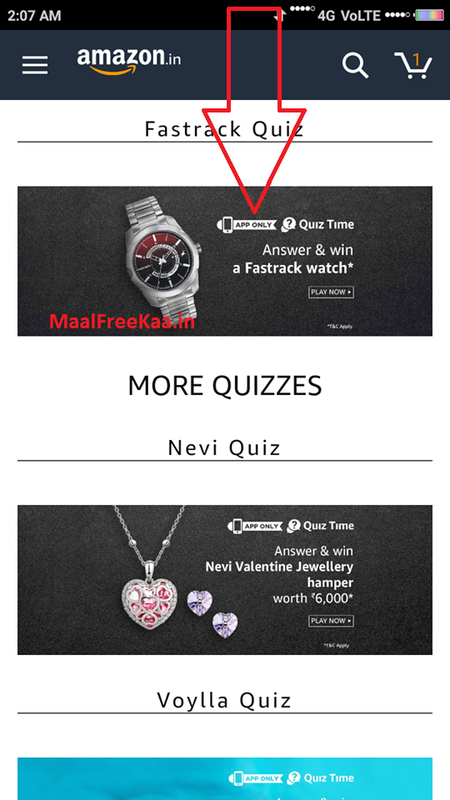 Quiz 5 : Which of the following products are NOT offered by Fastrack? 2. 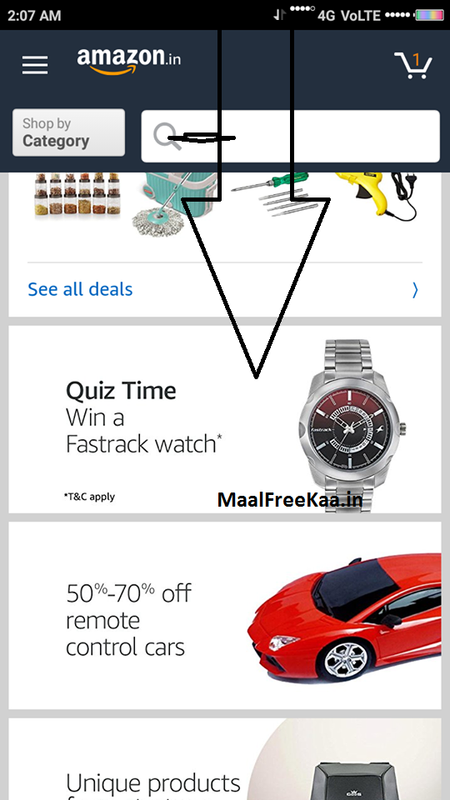 Open Amazon And Click On Home Banner "Fastrack Watch Quiz Time"